Cook the garlic until soft but not colored, add the chili and rosemary, add the wine and cook for a few minutes. Put all the cockles in the pan and cover tightly. Cook until the cockles open, releasing their liquid. 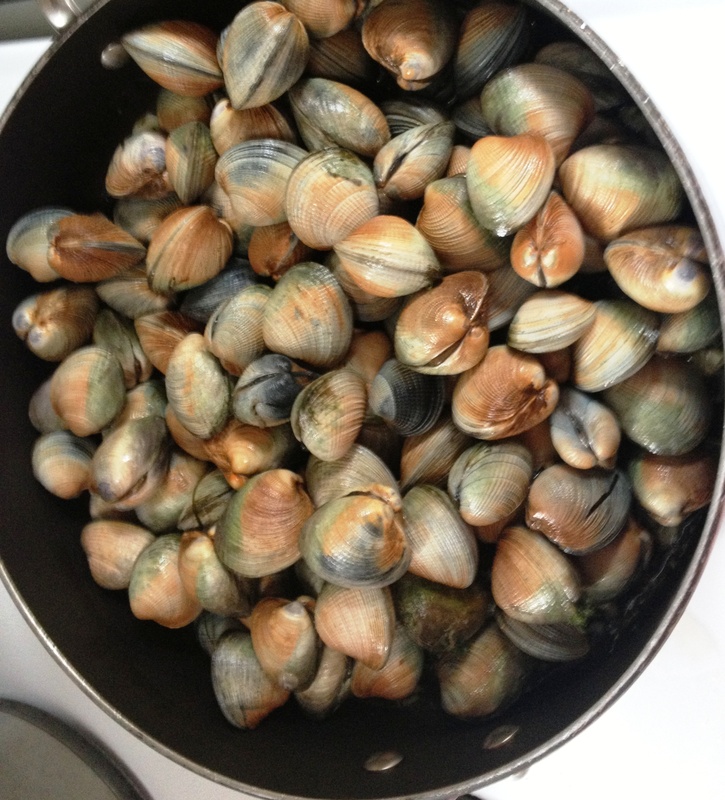 Remove the cockles to a heated dish as they open. At this stage start boiling the pasta, I use spaghetti in place of linguine because the grand kids will not eat anything else. When all the cockles are removed from the pan turn up the heat and reduce the liquid by about half to intensify the flavor. When the pasta is done and drained return the cockles to the pan and add the pasta, mixing well. Serve immediately. Do not add salt at any time. Simple Italian food at its best – and I got to forage for it myself. I love this island! Hi! Great site you have here. What bay is this? Papanui? Would love to get some cockles for the weekend. Also, would love to stop by and pick up a couple doz of your quail eggs, where abouts are you based? Ta, luke. Luke – I am at 9 Lucan Street, North East Valley, Dunedin. Please just make sure I am home before you pick up eggs – also let me know whether you require hatching eggs or eating eggs, and how many. 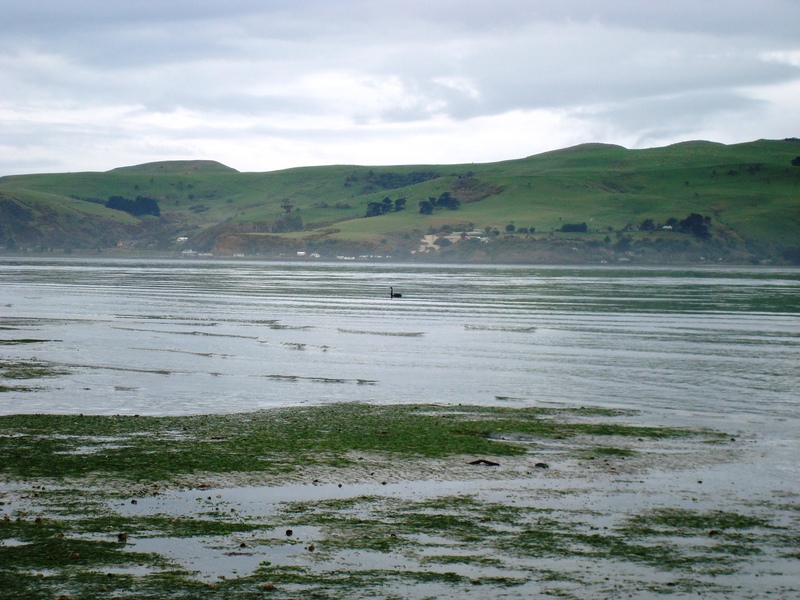 The vongole are just before Aramoana, as the road leav the sea shore. Look forward to hear from you.